Nothing makes me feel better than making a little comfort food from back home. 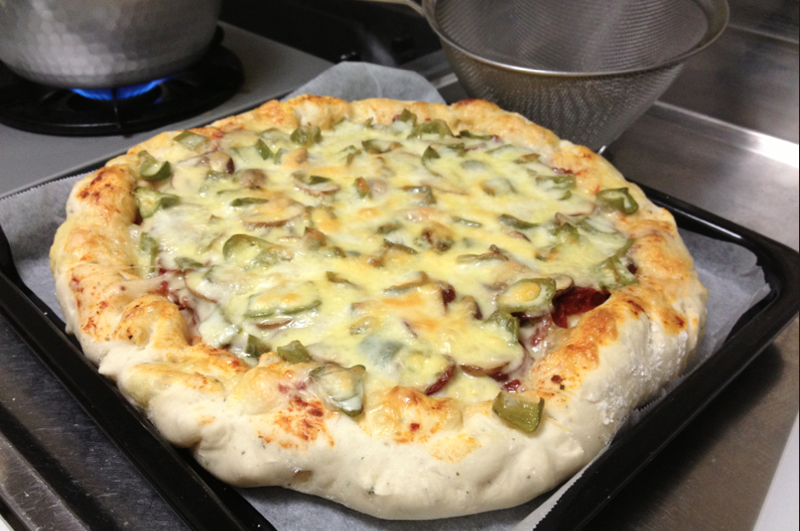 One of my fondest memories growing up was my father making his amazing home made pizza from scratch. I’m hoping my kids will have the same fond memories. When I make pizza at home, I get my son involved! How last night’s pizza turned out! Pretty successful! Wow, so you are carrying on the father-son pizza making tradition. those are good memories.